Earth Sky Bed Table is a collaborative project with Kate Daughdrill. Earth Sky Bed Table is an earthwork installation that brings the comfort of the earth and the mystery of the sky into the gallery. In this work, the bed and table become threshold spaces - sites of ritual and integration. 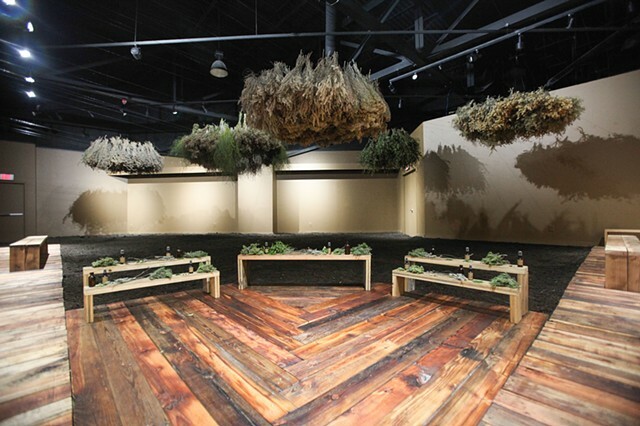 Harnessing the spirit of plants, the space is transformed into a sacred place that engages our bodies and senses. Photography by Vanessa Miller and Ali Lapetina.